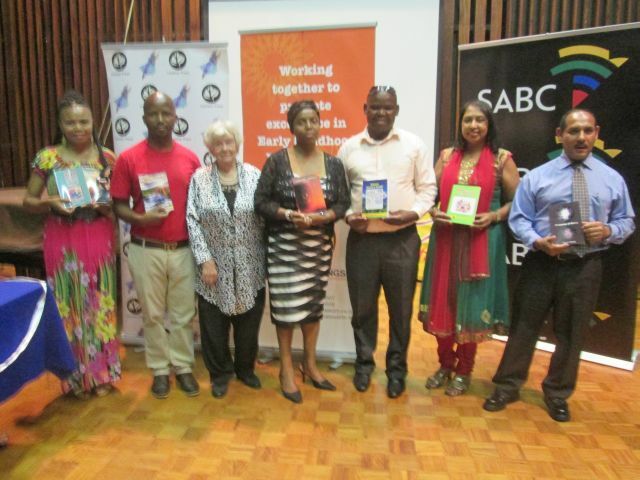 Six umSinsi authors and umSinsi Press hosted a book launch in Hall 1 at the SABC Head Office on Saturday 13th December 2014. Each of the authors invited approximately 10 guests, making in total an audience of 75 people. The function was opened by Mr Musa Mbili, HOD Correctional Services Men’s Medium B Prison at Westville. This was fitting as two of the authors were ex-offenders, with novels to launch, one in isiZulu, the other in English. The spread of genre of books that were launched was wide. There were two anthologies for Early Childhood Development, one anthology of poetry, a play in isiZulu, a motivational book and the two novels. An interested audience listened to each author presenting him or herself. There were two mini playlets demonstrating the content of part of the books. The launch was topped with a delicious breyani supper provided by Mrs Gori. Thanks to all concerned who helped make this a great success! awesome to see you all together.